It took several emails and a little bit of shuffling of our summer schedules, but I finally got to meet up with Angie, one half of the Markee duo a few Saturdays ago. (Courtney was busy prepping food for a catering event later that day). I arrived at Old Town Markee a few minutes before Angie, and was offered a drink and a seat at the bar. As I waited I watched a group of women at a large high top table talking about books, a family chat in the window seat, and the staff bustling around behind the counter preparing for the day. Angie greeted me with a warm smile and a shy wave from her daughter who was hitching a ride on Angie’s hip. After she got herself an Americano and her youngest a giant pink cookie, we settled into our interview. Tell me about your business and what makes it unique. Our goal is to be part of the community. 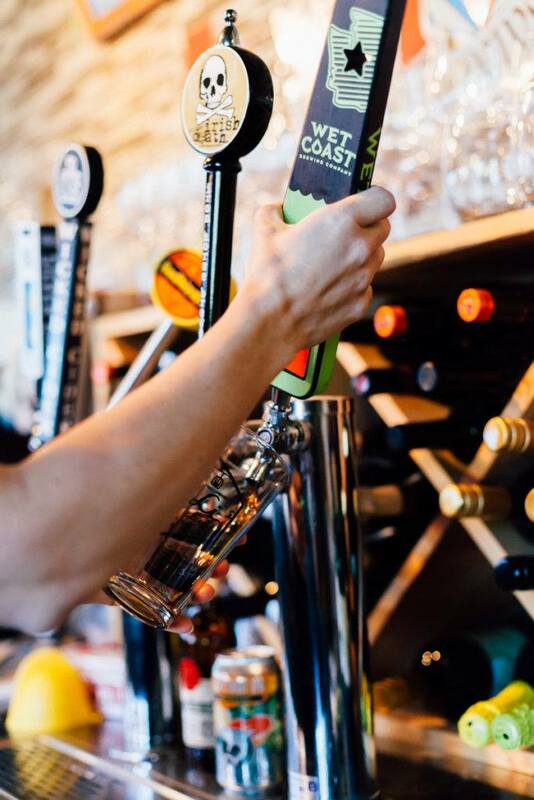 Yes, we serve coffees and wine/beer, but we also serve activities, a spot to host private parties and events and work hard to partner with community events as much as possible. The idea is that there are a lot of amazing groups in town and we have a great space to host them. What’s your favorite business district in Tacoma to work/play/create in? We love the Old Town district because we (Angie and Courtney) lived in this neighborhood during college and have a ton of really great memories of the neighborhood. What would you do to improve Tacoma? I would like to see more business to look at what Tacoma needs and build on that. Where can we help make this a better place to live for everyone. Do you currently have a favorite item in your shop? Angie told me about how she and Courtney traveled together after college and experienced lots of new foods as they visited different countries. 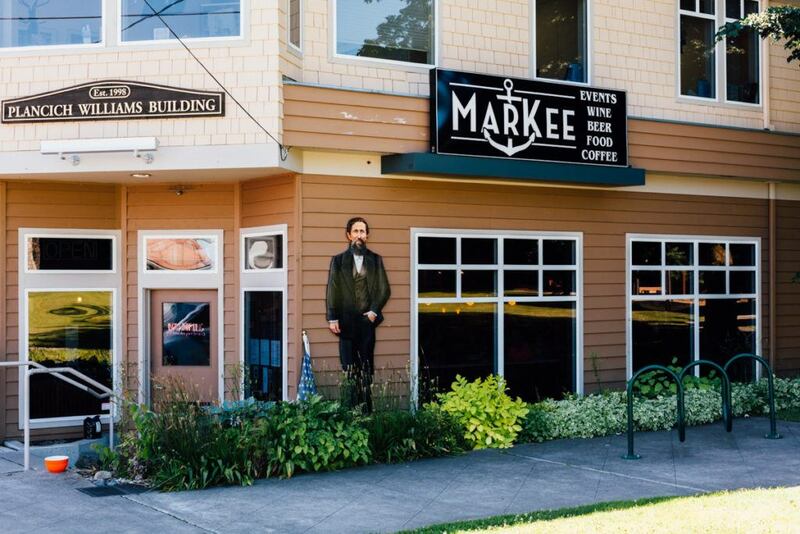 Part of what they decided when they opened Markee was to add items to the menu that they had encountered abroad. 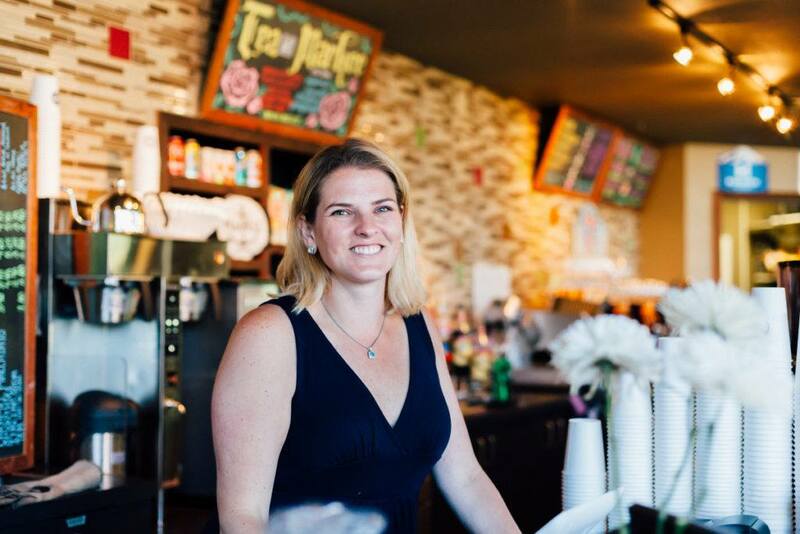 Angie’s favorite is the Acai (pronounced assa-eye) Bowls (a thick fruit smoothie, with granola or nuts and fresh fruit on top, that you eat with a spoon) and their Chai Tea, which I had to ask about – it’s more spicy than sweet (my favorite!). 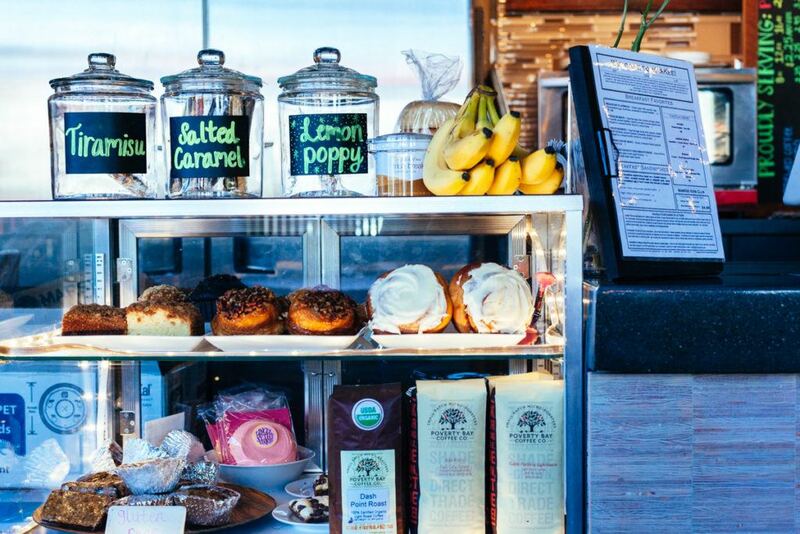 An ideal day in Tacoma would be to cruise along the Ruston waterfront then head into Markee for a bite to eat (probably an Acai Bowl) and a coffee, then hanging out in the park next door with the kids. Markee is “more than just a coffee shop.” Enjoy the picnic menu every Wednesday through the summer during Old Town’s concert series in the park, come in for Monday night trivia, enjoy weekly live music and open mic nights, and mingle during public and private events like South Sound 100 Women and Mosaic Home Group client events. 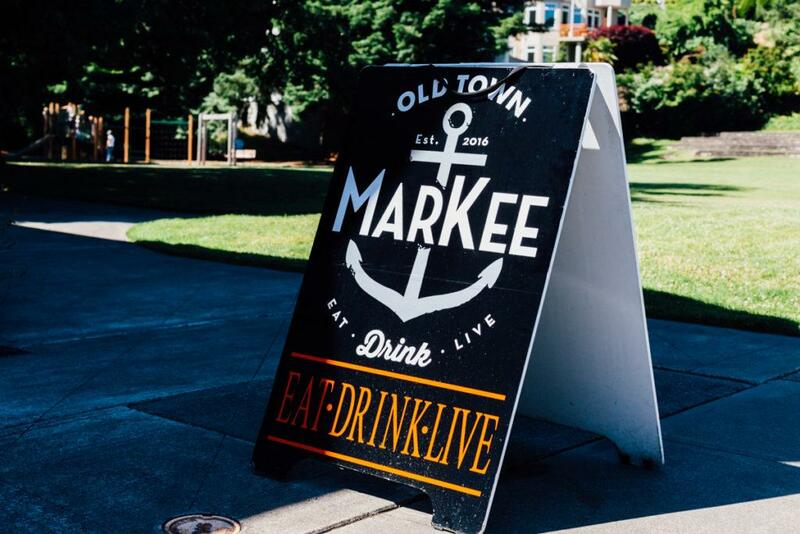 Be sure to book Old Town Markee for your next gathering. Not in Tacoma? Angie and Courtney also have a place in Gig Harbor!